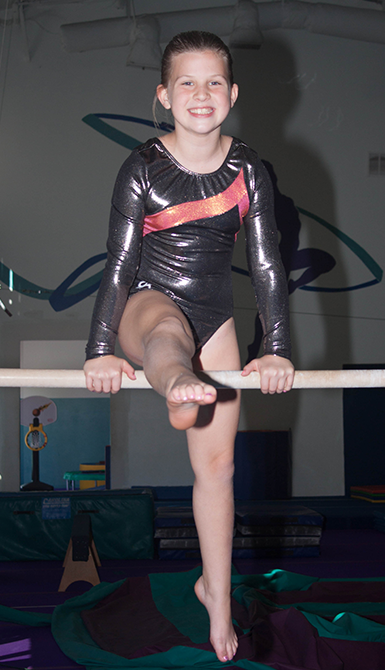 Shining Light Gymnastics offers a variety of different programs beyond gymnastics and recreational classes. From birthday parties to summer camps, Shining Light is the perfect place for your children to have fun with friends. You can leave the planning and clean up to us. To kids, birthdays are very special events. Birthdays are for laughing with friends and family, for acknowledging another year's growth, for getting cards and presents, and for eating lots of cake and ice cream. But most of all, birthdays are for having the most fun a kid can possibly have in one day. Over the years, it can really test a parents' creativity to find something really exciting to do for their children on their birthdays. Well, here is a suggestion that is a proven winner “ a Shining Light Birthday Party! Shining Light hosts birthday parties for children ages 3 and up. Your child will never forget the time they spent their birthday playing games, tumbling, and jumping in the foam pit with their friends. Our parties last for an hour and a half, including 1 hour of playtime in the gym and 30 minutes at the party tables where you can serve refreshments and open presents. We provide a staff person to assist you in setting up and cleaning up after your party. Parties are structured for children ages 3 years and up. We limit the number of 3 and 4 year olds to 20 per party and ages 5 and up to 25 children per party. These limits are to ensure that your children spend as little time possible waiting in line and more time having fun! Shining Light Gymnastics hosts a Parents' Night Out multiple Fridays throughout the month from 6:30 p.m. to 9:30 p.m. Your children (3 - 12 yrs.) will have fun participating in obstacle courses, Inflatables Star Castle, Zip Line, Group Games, Trampolines, Rope Swing into the pit, and much more. With our parents' night out program, you can enjoy an evening alone with the peace of mind that your children are having a great time! Whether your child loves spending time at the gym or wants a place for additional practice, these open workouts are the perfect opportunity to get that extra time in our state-of-the-art facility. Our camps offer a replacement for traditional day care settings, keeping your child active all day through our many activities offered. Our camp programs will make both kids and parents happy, and structured for your flexibility. You may attend as many or as few days as you like with no minimum number of days required. Extended hours are also available for parents who work. Our camps have themed weeks to guarantee your child has the most diverse experience at camp possible. At our day camps, we focus more on fun and less on gymnastics! Camp is fast paced, action packed and exciting! During the camp, your children will enjoy many activities carefully planned to keep your child active and involved including Zipline, Bouncy Castle, Mountain, Crafts, Rope Swing, Trampolines, Foam Pit and much more. We offer Themed Days on Monday, Wednesday and Fridays. Tuesday and Thursdays are our Craft Day's. We have young energetic counslers who are excited to work with your kids! Students are assigned to age groups at the beginning of the day and will remain with this group throughout the day. * Non-Members are required to pay a $25 Camp Registration Fee. Current Members are not required to pay this, as this rate is included in the $50 annual membership rate. CLICK HERE TO SIGN UP FOR OUR NEXT CAMP! All camps follow Williamson County School breaks. We even have SNOW DAY Camp available! * Summer Camp* Please bring a swimsuit, towel, sunscreen, lunch, snack, flip flops and a change of clothes. Childcare facilities and day care centers are welcome to set up a field trip to our gymnastics facility for a day of fun. The rates for each field trip vary. Please call the office at 931-486-0410 for more information or to schedule your trip.